Bary Jay bridesmaid dress style 1879 - V neckline pleated bodice with choker collar. 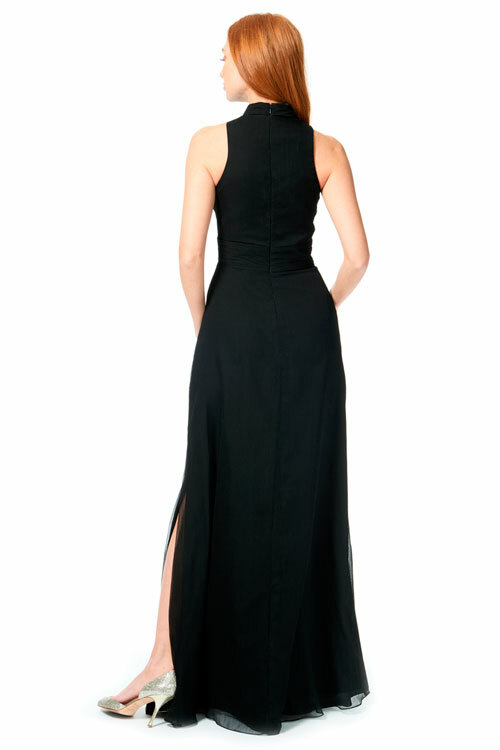 Maxi skirt with pockets, front plears, side slit and full zipper at center back. Available in Luxe Chiffon and short length.